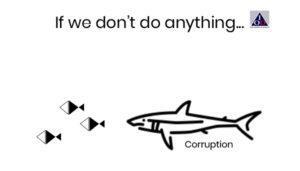 This SME Executive Briefing is intended to inform SME business owners and CEOs about Corruption and CAC’s SME Certification Program using the 17 checklists. 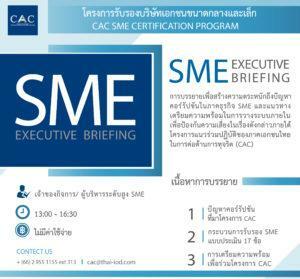 This briefing is mandatory for SMEs planning to join CAC SME Certification Program. This briefing is free of charge. Please register using the button below. Invitation is open to company employees that have not attended this briefing before. เวลา 13.00 – 16.30 น.